We have a wide selection of histology products to keep your histology lab working efficiently. 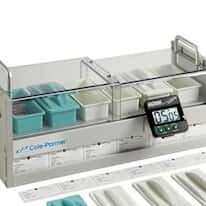 Browse this section for everything you need to keep your tissue-based diagnostics running smoothly. Consider automating your lab with systems. We have tissue flotation work centers, tissue embedding stations, slide dryers, microtomes, and slide staining products and stations. We also offer everything else you need to keep your current histology lab humming along.